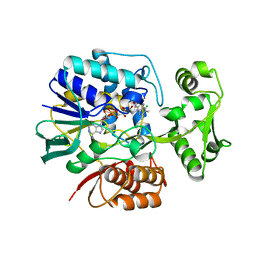 Authors: Sakuraba, H., Ohshima, T., Tsuge, H.
Authors: Sakuraba, H., Yoneda, K., Tsuge, H., Ohshima, T.
Authors: Sakuraba, H., Ohshima, T.
Authors: Sakuraba, H., Yokono, K., Yoneda, K., Ohshima, T.
Authors: Sakuraba, H., Ohshima, T., Yoneda, K.
Authors: Sakuraba, H., Kawai, T., Yoneda, K., Ohshima, T.
Authors: Sakuraba, H., Ohshima, T., Satomura, T., Yoneda, K., Hara, Y. 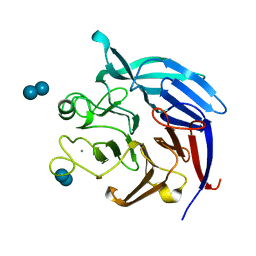 Authors: Sakuraba, H., Ohshima, T., Satomura, T., Yoneda, K.
Cite: Structure of a UDP-glucose dehydrogenase from the hyperthermophilic archaeon Pyrobaculum islandicum. 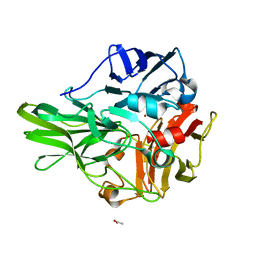 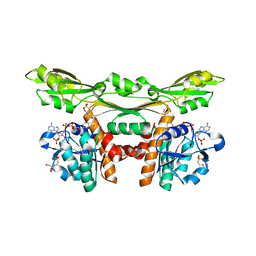 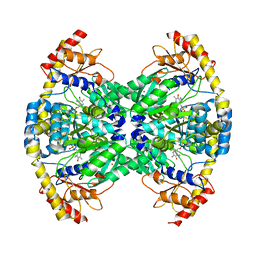 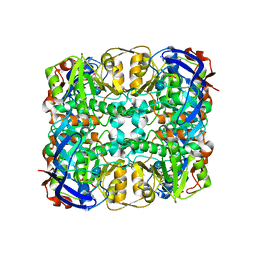 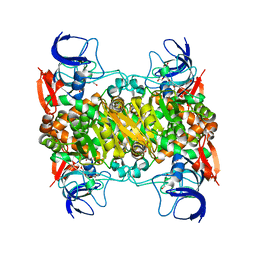 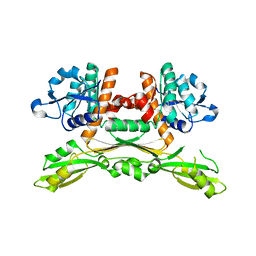 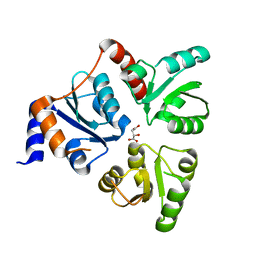 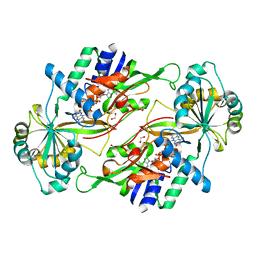 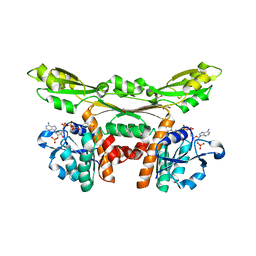 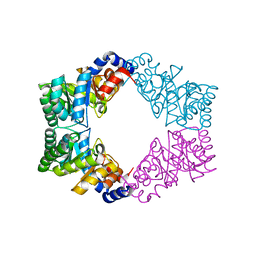 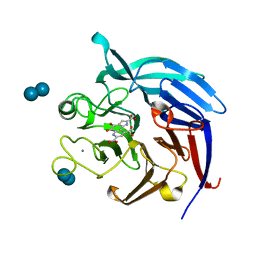 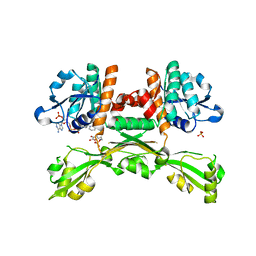 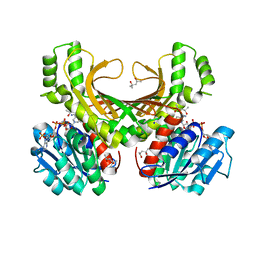 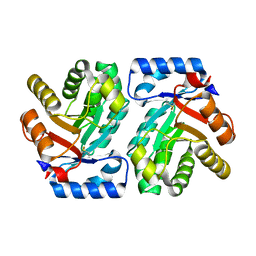 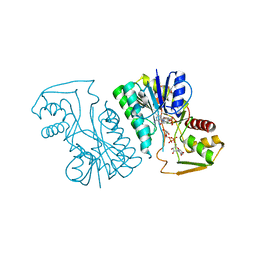 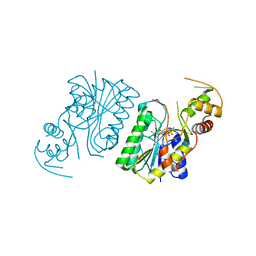 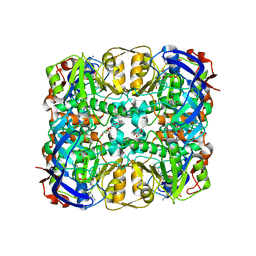 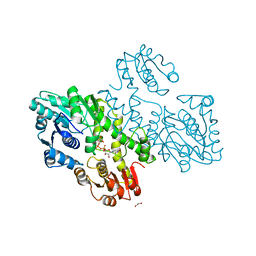 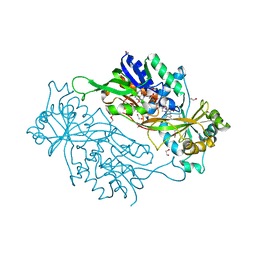 Cite: The First Crystal Structure of Archaeal Aldolase. 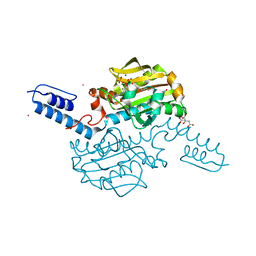 UNIQUE TETRAMERIC STRUCTURE of 2-DEOXY-D-RIBOSE-5-PHOSPHATE ALDOLASE FROM THE HYPERTHERMOPHILIC ARCHAEA Aeropyrum pernix. 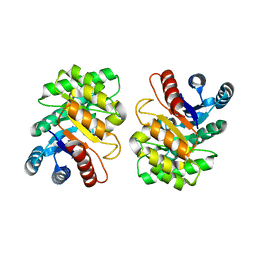 Authors: Yoneda, K., Sakuraba, H., Asai, I., Tsuge, H., Katunuma, N., Ohshima, T.
Authors: Sakuraba, H., Akita, H., Ohshima, T.
Authors: Sakuraba, H., Seto, T., Hayashi, J., Akita, H., Yoneda, K., Ohshima, T.
Authors: Sakuraba, H., Kanoh, Y., Yoneda, K., Ohshima, T.
Authors: Sakuraba, H., Inoue, S., Yoneda, K., Ohshima, T.